Your #DoughNation purchase on Monday August 28 supports the Keller High School Marching Band! Just mention them with your order at any location and they’ll receive 15% back. Applies for take out or delivery at all locations, or dine-in at i Fratelli Ristorante & Wine Bar in Irving. Two More Weeks to Smooch Your Pooch! 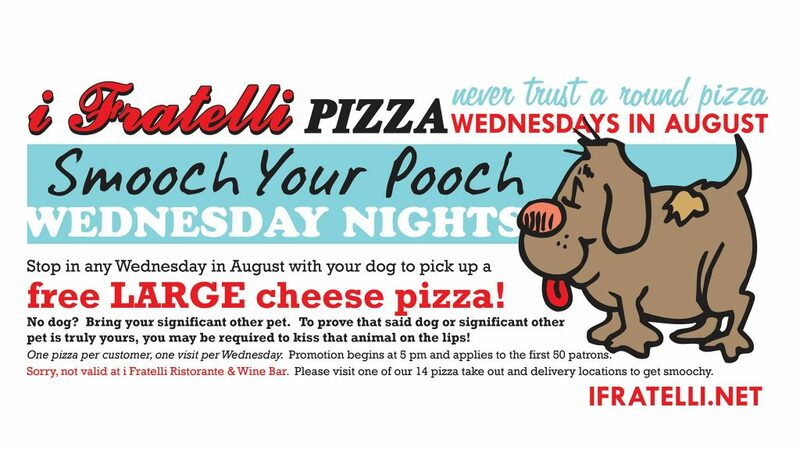 Stop in any Wednesday in August with your dog to pick up a FREE large cheese pizza! No dog? Bring your significant other pet. One pizza per customer, one visit per Wednesday. Promotion begins at 5 pm and applies to first 50 patrons. Sorry, not valid at i Fratelli Ristorante & Wine Bar. 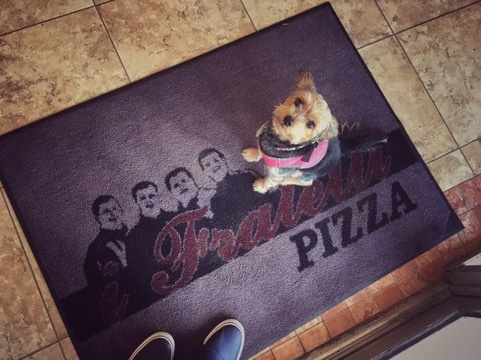 Please visit any of our 14 pizza locations to get smoochy.